Temp Sensor Support Rod & Clamp for MS-H-Pro, MS7-H550-Pro, MS7-H550-S - Oasis Scientific Inc. 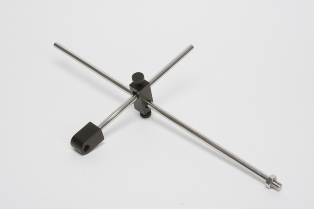 This SCILOGEX PT1000 Temperature Sensor Support Rod & Clamp is used with the PT1000-A or PT1000-B Temperature Sensor. Allow simple attachment of Sensor Support Rod & Clamp to the MS-H-Pro Circular-top, MS7-H550-Pro 7x7", or MS7-H550-S 7x7" Digital Magnetic Hotplate Stirrer.